Today’s post is an English translation with slight adaptations from an article I first published on my German blog. When reviewing the site stats for Translator Mentoring Blog earlier this week, I found that the most popular post by far continues to be Should I only translate into my native language? which suggests that this topic is one which translators, especially those just starting out, struggle to get their heads around. This is hardly surprising with so much conflicting information out there, apparent rules, requests which seem to run counter to these “rules”, and strong opinions. So, I thought that my readers might be interested in this article which is a brief summary of the main points I discussed at a workshop last year. The future of the translation industry – what will translator training look like in the future? In September 2015, an interesting invitation landed in my inbox. I was being invited to speak at a workshop entitled “Foreign Language for Future Language Professionals: Reassessing Market Needs and Training Programmes” in Trieste, Italy. The seminar was being organised by the University of Trieste and the European Union and would address, among other things, the topics of translator training and translation competence into the non-native language and the extent to which this is necessary given the native speaker principle which appears to dominate the industry. As a representative of the translation industry, in my presentation I wanted to set the advantages of the native speaker principle against my experience of the requirements and needs of corporate clients and to explain why translators must be extremely competent in their foreign language(s), irrespective of whether they translate into their non-native language or not. Personally, I am and will remain a proponent of the native speaker principle, but purely because this happens to fit my own personal circumstances. The main argument in favour of the native speaker principle is that it ensures that the translation is linguistically and grammatically flawless. In many cases, this is, of course, of utmost importance. However, being a native speaker of the target language alone is in no way sufficient to ensure that the translation also properly accurately conveys the source text message – and this must surely always be at the very top of the list of objectives. The native language of the translator therefore is only one factor which must be considered when commissioning a translation. Equally important is whether the translator understands the source text, i.e. the level of his/her foreign language competence and specialist technical language of the subject-field concerned. Only if the translator has a very good command of the foreign language and the specialist technical language, can he/she produce an accurate translation into his/her mother tongue. Unfortunately, this second point is often ignored when applying the native speaker principle. What is more, academic rules and ideals (“only translate into your native language”) are often not in line with the requirements of the industry and the needs of clients. It is increasingly the case that companies and clients are looking for their internal translators to meet all of their translation needs. Perhaps a company has a regular translation requirement and therefore wants to employ an internal translator, but doesn’t have enough translation work for it to make economic sense to employ one translator per language pair, let alone one translator per language direction. In such cases, it clearly makes business sense to employ one translator who can offer all of the language pairs required in both directions. But even companies which work with external translators are increasingly looking for a one-stop shop – often due to time constraints and concerns relating to confidentiality. Whether future translation graduates translate only into their own mother tongue or in both directions is, in my view, a question which each new translator must decide for him/herself. There will always be a market for translators who only offer the highest quality translations into their own mother tongue, providing that they also have extensive specialist knowledge in their field. However, there will also always be a market for translators wanting to translate in both directions. Whatever the decision these translators make, it is, however, extremely important that they are given the opportunity during their training to increase their foreign language competence to the highest possible level and to polish their writing skills in the foreign language because, irrespective of whether they later decide to translate into the foreign language or not, one thing is for sure: in order to be successful in today’s translation industry, more than average foreign language competence is absolutely essential, not least for marketing purposes and communicating effectively with clients. So ultimately there is no “right” or ”wrong”. Whether you decide to translate in one direction or both is simply a choice that you, as a businessman or businesswoman, are free to make on the basis of your skillset, your strengths and weaknesses and your vision. Know that whatever choice you make, there are clients out there for you – it is your job to find the ones which are the right fit for you. Tearing up the Asphalt—Language Professionals Inside and Outside the Beltway Unite! On the morning of Monday, August 17, 1964—just days after the Gulf of Tonkin Resolution expanded the Vietnam War, and only days before the Economic Opportunity Act helped launch LBJ’s War on Poverty—the newly completed Capitol Beltway opened to automobile traffic. It was a busy month in DC that summer. The fanfare over the roadway was minimal—segments of it had been opening for years. 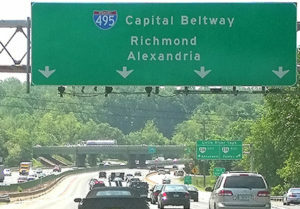 Despite the fact that the modest ribbon-cutting ceremony jammed up traffic for hours, most DC-area commuters in that pre-telework age rejoiced briefly, then launched a rich tradition of cursing the highway on a twice-daily basis. More importantly, and perhaps unintentionally, a line was drawn—forevermore, there would be a world “inside the Beltway,” and one “outside the Beltway.” Both worlds would claim to be all knowing. Both worlds would stare over the dented guardrails at the other with a mixture of confusion and suspicion. Nearly two decades later, I was inducted into the venerable FBI (Fraternity of Beltway Insiders). We still called it a “fraternity” in that less inclusive age. Despite Reagan-era proposals to shrink the Federal Government workforce, the Navy Department had hired me “on a temporary basis” to translate articles from the Soviet press. That temporary gig has lasted 33 years, first at the Navy, then at the State Department. And while there are days when my ancient insider status helps me to navigate the “government language community” within the Beltway, there are far more days when I still wish I had been issued a better road map. Or, in keeping with my original seafaring focus at the Navy, a better nautical chart. For what was true then remains true now–the language islands in the Federal Archipelago are scattered and they are many. There is a new one, for example, at the Census Bureau in Suitland, MD, where translators help folks to be counted—in dozens of languages. In Bethesda, MD, there is another island at the National Institutes of Health, where translators work with medical literature from all over the world. Other islands—whose exact coordinates are revealed solely “on a need to know basis”—deal with words in over a hundred languages, so others can analyze threats to national security. My current island—the Department of State’s Office of Language Services (LS)—deals with diplomatic translation and interpreting, and has sat proudly in downtown DC since the Federal Capital moved here in 1800, making it the oldest of the islands. Before that, it drifted about the eastern seaboard as the young republic decided where to moor its government—including two stays in New York City. And there are dozens of other language islands, atolls, and cays—each with differing recruitment needs, security policies, career paths, and working procedures. We who dwell on them used to assemble from time to time under the banner of the now defunct Society of Federal Linguists (SFL)—a haven for the scholarly polyglots who streamed to DC during the Cold War era. Some of us gather still at the monthly Interagency Language Roundtable (ILR), where we hobnob with language testers and trainers, sharing technological breakthroughs and heartbreaks. Still, we government language islanders often feel unconnected to each other, and to the world beyond those battered guardrails along the outer loop of the Beltway. – I passed an interpreting test with another government agency in 2009. Why do I need to take a test with your agency? Isn’t there just one unified test for the whole government? – I was told by one government agency that I would need to be a US citizen in order to be a freelance translator. Does that mean all government agencies have that rule? What if I am a dual national? – Don’t all of US Government agencies share the same roster of freelancers? – Is it true that I have to move to Washington, DC, to be a US Government translator? For those of us insiders sitting at exhibit hall tables or standing at the speaker’s rostrum, it is no easy task to provide answers that take into account the wide variety of habitats and life forms our federal language archipelago hosts. Complicating the picture is the fact that nowadays, there are government language professionals working all over the country—some as contractors or staff teleworkers who translate or manage projects from home offices; others as interpreters, translators, or project managers reporting to government offices around the country. Think of the many US Government field offices in the New York City area, for example. The truth is, those of us government language professionals who make our lives in the DC area are only a subset of wider government language community. 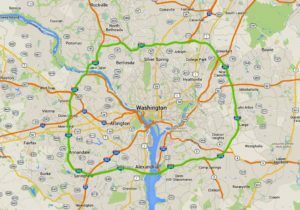 The Beltway barrier has morphed from an asphalt one into a virtual one. Nevertheless, the Beltway barrier persists, and the questions keep coming. When I started teaching Spanish/English translation at the University of Maryland’s Graduate Studies in Interpreting and Translation (GSIT) program three years ago, these questions assumed a new importance. Now it was my students who were posing them. Would there be government jobs—staff or contract—for the younger translator entering the workforce? What languages or skills should they add to their repertoire to make themselves more employable in the government? What was the future for which I was training these eager students? I always ask my students where they see themselves in our profession in 20 years. My favorite answer is one I have heard more than once: “having your job”! These were the questions racing through my own mind back in 2015, when Dr. Maria Brau, a colleague from the real FBI, the Federal Bureau of Investigation, called to seek my support for the establishment of a new Government Division within the American Translators Association (ATA). After suffering three decades of varying confusion about what my sisters and brothers in the federal language community do, I was ready for an ATA Division to solve that problem once and for all, and gave my wholehearted support. A year later, I found myself running the thing as Division Administrator! Now I would be have to be the mapmaker. Fortunately, I have help. Monique Roske, a longtime interpreter and instructor of interpretation, is the Assistant Administrator. As we build up our Division, Monique is frequently heard to utter “remember those outside the Beltway!” One of our goals is an online compendium of US Government “language shops” with thumbnail sketches and ample hyperlinks for fuller details. Another is to reach out to government language units at the state and local level. • Presentations: this year’s ATA Conference offers no less than eight carefully chosen sessions focusing on government language activities, including talks by the National Virtual Translation Center (NVTC) and the Census Bureau, a panel discussion on the impact of artificial intelligence, several talks on interpretation, and a presentation on coaching for translators in the government and beyond. See the Preliminary Conference Program at the ATA website for details. • Networking Event: like our fellow ATA Divisions, we will offer a chance to gather after hours at a local eatery to share drinks, food, and conversation. The ATA Government Division networking event will be held at 6 pm on Thursday, October 26, at a DC landmark—Mama Ayesha’s Middle Eastern Restaurant at 1967 Calvert Street, NW, just a few blocks from the Conference hotel. Read more at the Division events page on the ATA website. • Division Meeting: we will meet briefly at 12:30 pm on Friday, October 27, during the Conference, to map out strategies for the coming year. See the Final Conference Program for exact location details. Forging ties with state and local governments is foremost on our agenda. In addition, a number of government agencies will be hosting tables in the Conference’s Exhibit Hall. Compose your questions and seek us out early, for the lines are sure to be long! As you get to know us, you will realize that we are not all work and no play. A favorite pastime of the “insiders” is poke fun at bureaucratic speak, in all its guises. We see more of it than most of you, and we tend to view it as a hairdresser contemplates an unruly head of hair: it is something to be teased, trimmed, curled, or colored—even if a full head shaving would seem to be the only remedy. One federal colleague collected what he called “egregious noun pile-ups” in bureaucratic writing. True to form, this year’s DC-based Conference includes a session by my State Department boss in understanding and taming bureaucratic prose. As we say in DC, it promises to be a “robust practice-based language skills enhancement education colloquium.” Try fitting that into a PowerPoint textbox in another language! Whether you travel to DC for the ATA Conference to meet us in person, or stay connected to the ATA Government Division on line, via our listserv or our soon-to-emerge website, the Division’s goal is to expose you to a benign strain of what some call “Potomac Fever.” I contracted it in 1979, when I chose to study languages in Washington, DC, with a dream to use them someday in a government job. There are thousands of similar case studies. Inevitably, those afflicted will say the same thing: government language work is intellectually fascinating and rewarding. Not just for the work in itself, but also for the sheer number of resources that emanate from the Federal Government. Take the four reading rooms at the Library of Congress that cover geographical regions of the world: the Hispanic; the Asian; the European; and the African/Middle Eastern. Many of their holdings are now available on line, accessible to all throughout the land. Yet when the heads of these reading rooms gave a presentation at a recent Interagency Language Roundtable meeting, I found that many of my “insider” colleagues did not know about those physical spaces on Capitol Hill, let alone about the cyberspaces they had created. The human resources in the government language community are truly its greatest assets—my capital colleagues take pride in being authorities in the languages they use on the job, all the while studying further to keep those languages fresh. Meanwhile, they become subject matter specialists on everything from antisubmarine warfare to international child abduction. I worked with a gentleman at the Justice Department, now retired, who was an expert in Spanish slang from every corner of the Americas—try as I might, I could never stump him. I have worked with a Labor Department colleague who studies Quechua and Aymara in her spare time. Several of my LS colleagues at the State Department have worked comfortably in over a dozen languages at a time—one certified a treaty in Faroese; another invented his own language. With a government language community of this caliber, the republic is eminently well served. Beyond the intellectual charge it delivers, the work of the government language community delivers an excitement often described as high-stakes and cutting edge. The adrenaline often rises; the knuckles occasionally whiten. Whether our interpreters are helping to bring peace to warring factions, or our translators are helping to cure a disease more virulent than Potomac Fever, our work can impact millions. This is a source of pride for the government language professional, and a source of sleepless nights for us too. My advice to the language professionals of the New York area: contract Potomac Fever and lose some sleep with us. 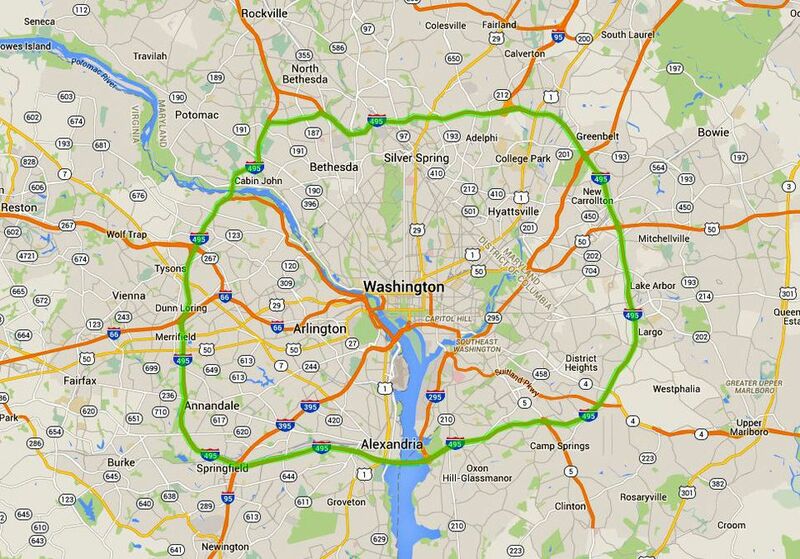 Bust through the Beltway—or at least bridge it. Let the ATA Government Division be your guide. One postscript: There is a time-honored tradition of government service from the New York translator and interpreter community. In fact, the State Department’s first three translators—John Peter Tetard, Isaac Pinto, and John Pintard—were New Yorkers hired while the Department was headquartered in New York City for two short stretches in the 1780s. Tetard had to face the capital’s brief move back to Philadelphia, before resigning to become the first professor of a modern language at King’s College (just as it changed its name to Columbia University). Once the capital shifted back to New York again, translators Pinto and Pintard reported to work at a repurposed Fraunces Tavern down on Pearl Street, where you can still see the reconstructed offices of Foreign Affairs Secretary John Jay on the upper floors, including his ledger books recording subscriptions to foreign-language periodicals. Pinto’s knowledge of Arabic—an exceedingly rare skill in those newly United States—surely came in handy after the young nation signed a Treaty of Friendship with Morocco in 1786–the oldest U.S. treaty still in force. A century later, Henry Livingston Thomas (1835-1903) of the Hudson Valley became the first State Department translator to receive a Civil Service appointment. Somewhere inside the Beltway, or perhaps outside it, there is a government office that needs your talents. Log into the Divisions section of the ATA website and join the Government Division today! On June 2 of last year, the International Medical Interpreters Association (IMIA), the Association of Language Interpreters of Greater New York (ALIGNY), and the New York Circle of Translators (NYCT) held a forum under the title, “Translation and Interpreting: from Bilingualism to Professionalism.” The response to the symposium, in which I had the pleasure to take part, was far more enthusiastic than we had anticipated. More than twice as many people attempted to sign up than we were able to accommodate. I think that this initial response, in addition to the follow-up feedback from the audience and presenters, speaks to the dramatically growing momentum for raising standards in our professions of interpreting and translating. One of the presenters, Eric Candle of the IMIA, discussed the national medical interpreter training and certification, which has progressively become more lengthy and rigorous. Similarly, court interpreter certification in New York State and elsewhere has advanced by leaps and bounds since its beginnings in the 1970s and ’80s. The ATA translator certification exam has improved and gained acceptance as a universal standard. 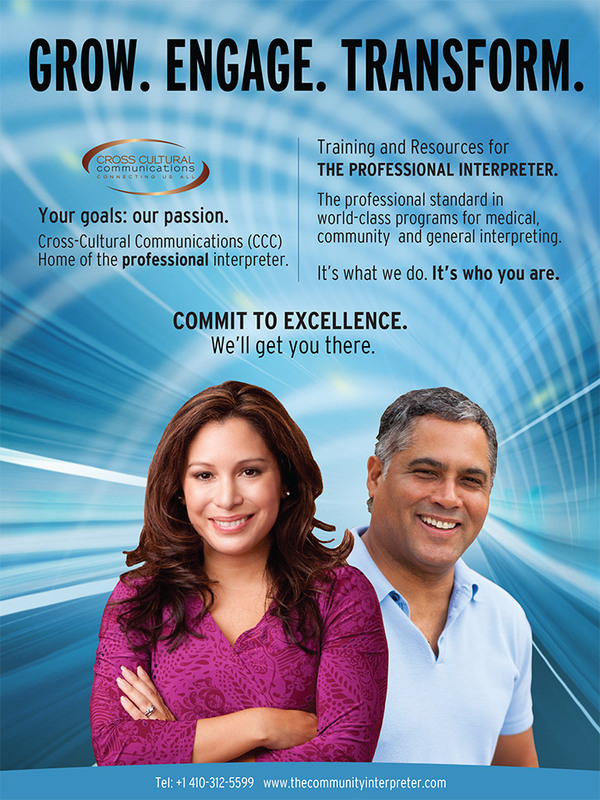 An ATA interpreter certification exam is in the works. Translator and interpreter training programs are popping up at an unprecedented rate. Professor María Cornelio spoke on the Spanish Major Concentration in Translation and Interpretation at Hunter College which she directs. 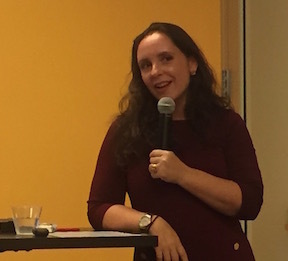 María Barros, of the Spanish Translation Service at the UN, discussed the question of whether the translation practice at the UN could serve as a model for the industry. Jean Campbell, of the Sherman & Sterling law firm, presented on professional standards in legal translation. In conclusion, I moderated a panel composed of Prof. María Cornelio, María Barros, Jean Campbell, Eric Candle, Ricardo Fernández (staff court interpreter at Manhattan Criminal Court), and Lionel Bajaña (supervisory interpreter at Bronx Criminal Court). Despite the undeniable gains in professionalization, I think it is clear that much more work needs to be done and that we cannot be complacent. One challenge is the lack of resources to train and remunerate translators and interpreters. If the standard for translators is written translations that are nearly 100 percent accurate and read as if originally written in the target language, then this implies an extremely high level of prior education and experience. Likewise, if the standard for legal interpreting is that the limited English proficient (LEP) individual must understand the English-language proceedings in his or her own language as well as a native English speaker would, then the interpreter’s level of prior education and experience must be extremely high. There are, of course, many thoroughly professional practicing translators and interpreters, but the onerous weight on their backs caused by scarce educational opportunities, inadequate remuneration, and unacceptable working conditions are bad for everyone. If translators and interpreters are to exercise the same level of competence as good doctors, lawyers, or accountants do, more money will need to be invested in their education and salaries. If linguists are not well remunerated, it is impossible to justify an investment in this career path—and then all of society will suffer. Primary and secondary education programs need to offer better curricula in language training. Higher education also is an obvious essential in the training of translators and interpreters. But higher education is exorbitant in this country and our industry will not be able to tackle this larger problem on its own. Needless to say, bad translation and bad interpreting can lead to unspeakable calamity; in diplomatic catastrophes, wrongful convictions, medical malpractice, catastrophic financial loss, or in any other matter where miscommunication arises between people who speak different languages. For instance, some have attributed the bombing of Hiroshima and, separately, the escalation of the arms race in the 1950s to misinterpretations. Another challenge that at least some of us face is that our work and training will not always be exposing us to every type of document we will translate or every type of proceeding we interpret in our subsequent career. There is always plenty of potential for something new that at times will make photocopy translation or interpreting (which is the aspired standard of perfection in legal translation and interpreting) an illusory goal. This especially applies to languages of lesser diffusion, such as Wolof, Tibetan, or Kaqchikel, to name a few of thousands. These translators and interpreters may find that their ability to accumulate preparatory training and experience is more limited due to the lesser availability of training and assignments. Yet I would submit that, as monumental as the task is of effectively providing language services, we are obligated to invest our energies in it. Too much is at stake not to: life, safety, and liberty, in addition to the potential for catastrophic financial loss. Your reading this article is a sign that you are interested in change. I think the place to start a movement towards full professionalization is within and among our professional organizations: the New York Circle of Translators, the International Medical Interpreters Association, the Association of Language Interpreters of Greater New York, the American Translators Association, or the National Association of Judiciary Interpreters and Translators, among others nationally and internationally. Your contributions and creativity to come up with solutions and implement them are sorely needed. We can continue to hold fora, such as the symposium, to educate ourselves, our clients, and society at large. In fact, the consensus among the organizers after last year’s event was that it would be very useful to make the forum an ongoing annual event. Yet I think it bears emphasis that educating the general public is crucially important since the public will have to invest in our services in order for us to progress. This would necessarily include recognizing and remunerating the many outstanding professionals already practicing in line with the value of the service they are providing. If the highest standards currently being practiced are to become the rule rather than the exception, the public has to understand that better medical translations, better diplomatic interpreting, and better social services translation and interpreting will make us all more prosperous. If a legal interpreter breaches his or her confidentiality requirement, unduly steps into the role of lawyer, or omits content from his or her rendering of a proceeding, the potentially negative consequences are incalculable. We will also have to educate government officials who are in a position to implement far-reaching changes. In short, more rigorous and affordable training and better remuneration are indispensable to continued professionalism and further professionalization of our industry and the rendering of service that our clients need and deserve. 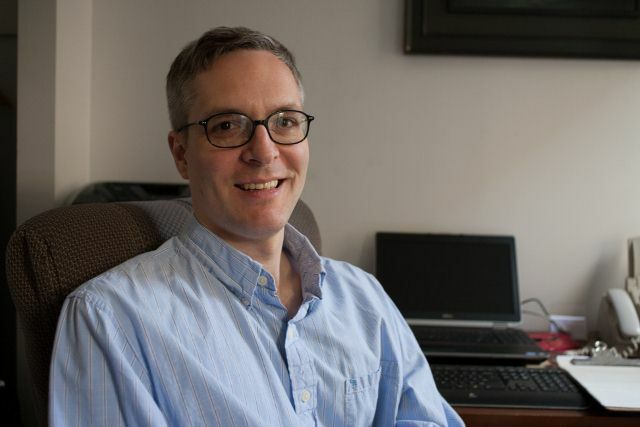 Leonard Morin is a staff interpreter at Manhattan Criminal Court. He previously practiced as a full-time translator (since 2004) and interpreter (since 2006). Leonard interprets Spanish and Dutch and translates chiefly legal and cartography-related documents from Dutch, Spanish, and German into English. He earned a propedeuse degree in law in the Netherlands and graduated from Columbia University with a B.A. in Latin American Studies. Leonard has earned translation and interpreting certificates and won academic prizes for his Spanish and German. He previously served as president of the New York Circle of Translators. GALA – the Globalization and Localization Association, Who are they? How do they Impact Translators? So many factors impact our work as translators and interpreters. Small things like spotty internet connection to larger issues such as political mandates regarding language access, but what about the myriad of organizations and associations that deals with our industry. Below follows an interview with Allison Ferch, Director of Communications and Engagement, of the Globalization and Localization Association or GALA for short. Could you explain the role of GALA in the translation and localization industry? GALA is a trade association for the translation and localization industry. As a non-profit membership organization we offer a non-biased platform for information-sharing, collaboration, training, and professional development. We actively promote translation, localization, and interpreting as essential elements of global business and our outreach educates the general business community about the enormous benefits that the language enterprise brings to global business. In a nutshell, our role is to elevate the translation and localization industry, both in terms of internal maturity and sophistication, as well as how it is perceived by the global business community. Has GALA achieved its’ original goals? What is GALA doing to meet its’ original purpose or has GALA increased the roles and agenda it had established upon inception? GALA’s mission and vision have evolved since its inception. The association was originally formed by a group of language service provider (LSP) companies in order to address the unique needs of LSPs. Through a series of changes to the bylaws that happened gradually over a period of 10 years, GALA has now expanded its membership and its goals to meet the needs of all localization professionals, whether they work for vendor companies like LSPs or for enterprises in different sectors. GALA’S current mission is to support our members and the language industry by creating communities, championing standards, sharing knowledge, and advancing technology. Our vision is to be the voice for the language industry and the resource for the language enterprise. GALA is primarily for agencies and large companies, but these employ translators who need to know what is trending in the industry. -What have you heard from agencies or large companies about the industry? -Technology is definitely a popular topic among professionals whether they’re on the buy-side or the vendor side of the industry. Machine translation (and post editing), audiovisual translation and subtitling, and video-remote interpreting will all be featured at our upcoming annual conference. Business owners continue to investigate new business models as alternatives to the per-word pricing model, and we also hear discussion about the “disintermediation” of the industry whereby clients request direct access to linguists and resources like translation memories. Finally, we hear of changing project lifecycles with an emphasis on smaller projects with faster turnaround times – often driven by Agile software development cycles. -What types of changes are being implemented? -Many translation and localization agencies are working on specialization, either in the sectors they serve or the type of services they offer. As they move into more consultative roles, they are able to move away from the price-per-word model. We see more emphasis on data-driven decisions from the client side as they seek to justify investments in language services and prove ROI to their upper management. And we see adaptations in project management to cope with the demands of Agile development with its smaller word counts and faster turn-around times. GALA serves an international membership, however how does GALA interact with members on the local level? In the past, GALA’s tagline was “Communicate locally, succeed globally” and though we no longer use that in marketing materials, we do still believe it. In spite of having member companies in more than 50 countries, we do interact with members regionally and locally. Our Partner Program is one way that we do this. Through a series of partnerships with regional associations, we extend our reach and are able to get involved in events and programs that otherwise would not be accessible to us and our members. We also co-organize local networking events in cities around the world. These events are always open to all industry professionals and provide a fun and easy way for people to connect with their peers. Finally, we encourage and support the development of local or regional user groups such as the Seattle Localization Group (SLUG) which plans quarterly meet-ups with speakers and networking. The March meeting which featured Gabriela Lemoine, the CEO of Hispano Language Advisory, was well attended. Ms. Lemoine gave a presentation on Transcreation and Translation for Marketing. This was the same presentation that she gave at last year’s ATA conference which was so well received that it was scheduled twice. NYCT members who missed the conference were fortunate to be able to catch her presentation at the meeting. The presentation started with a look at four videos of the same advertiser in different countries. Besides the language changes there were other subtle and not so subtle differences in the various commercial spots. Ms. Lemoine explained why the spots were tweaked and how they were all successful in their respective countries while still retaining the same branding. Examples were discussed from companies such as McDonald’s Coca-Cola and Puma. A breakfast commercial from McDonald’s was shown that while a hit here in the United States would have no meaning in some Latin American countries simply because the breakfast foods presented in the commercial were not typical breakfast foods for the countries discussed. Simple things can make a significant impact or not. There were some campaigns that worked well, some that didn’t work at all and others that were able to be adapted and fixed midstream and turned into a successful campaign. Ms. Lemoine reminded the audience that the purpose of marketing copy is to persuade or to sell. It must get the viewer to have a reaction and make a move. The source text must equal the target cultural response. All translators working in transcreation should be excellent writers in the target language. Being a translator is not enough; the culture of the target audience needs to be understood inside and out. A background in marketing is helpful but not having one does not impede a translator from specializing in the field. 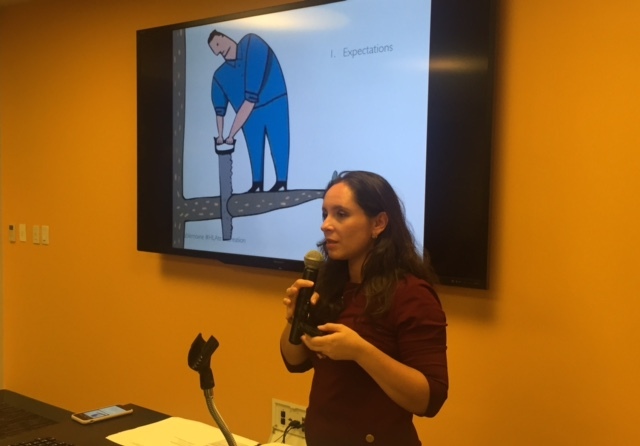 She then touched upon ISO standards and took questions from the audience about pay scales, obtaining work in the specialization and working with either direct clients or agencies. This information comes from member associations of FIT and is reprinted from Translatio. In Austria, five independent professional associations work together under the umbrella of the “Translationsplattform” (www.translationsplattform.at), in particular to attract more attention and to give more weight to their arguments when reaching out jointly to the public or to specific stakeholders. by a joint press release on the topic. The Austrian associations were very pleased with the media echo their efforts received. The response of the dictionary editors is especially worth mentioning, as they welcomed the valuable input and easy-to-understand presentation of the terms in question and promised to take account of the suggestions in the next edition of the dictionary. written in collaboration with AIDAC, AIIC, Assointerpreti, ANITI, AssiITIG and TradInFounder under the supervision of esteemed professors from the Università di Bologna, DIT Forlì, Trieste and Fondazione Universitaria San Pellegrino. addressing standardisation on qualification of professions and personnel”) and the European Qualification Framework (EQF). audio-visual script translator and dialogue writer, legal translator, and language localisation professional. Third-party certification for translators and interpreters is likely to be available next year, once the certification schemes are drafted in compliance with ISO 17024. A milestone in the global translation and interpretation industry, the UNI 11591:2015 provides guidance for the qualification of professional translators and interpreters on the market and their clients.